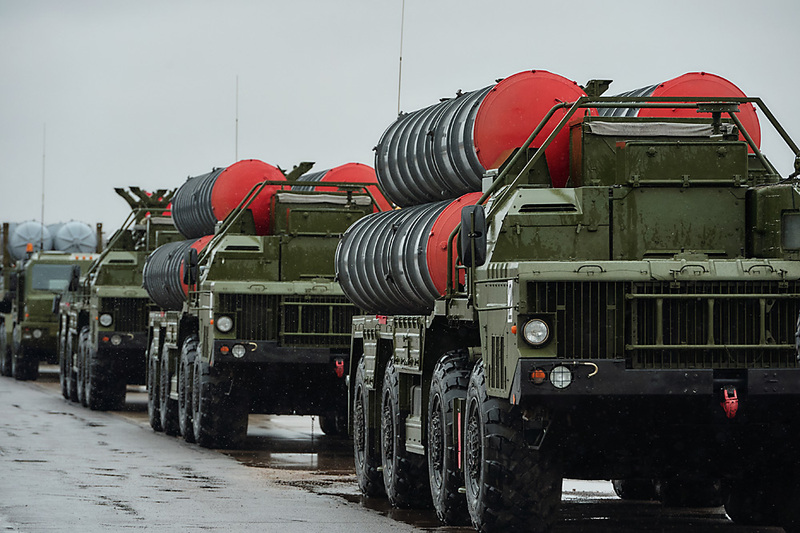 S-400 surface-to-air missile systems of the motorized column of the Western Military District seen here as they practice for the parade marking the 71st anniversary of the victory in the Great Patriotic War. The May 9 military display will not feature the new surface-to-air defense units - but the manufacturer has denied media reports that this is for economic reasons. Russia’s newest S-400 surface-to-air missile systems will not be taking part in this year’s Victory Day parade in Moscow’s Red Square, and that has always been the plan, according to a press release by the Almaz-Antey concern, which makes the missiles. Earlier there were reports in the Russian media that S-400s would not be taking part in the May 9 parade as a cost-cutting measure. However, later Almaz-Antey rejected this speculation. “It is the Russian Defense Ministry that decides which weapons systems and in which volumes take part in Victory Day parades. Among other things, this decision depends on whether the year is a special anniversary one (this year marks the 71st anniversary of victory in World War II)," the manufacturer’s press release said. The Defense Ministry refused to comment on why Russia’s most advanced missile system, the S-400, will not be represented at the country’s main military parade. For its part, the press service of Almaz-Antey told RBTH that the May 9 parade in Red Square will feature the Buk-M2 and Tor-M2U advanced surface-to-air missile systems. The company will have eight of its air defense systems among the 100 or so weapons systems taking part in this year’s Victory Day parade.